de Sarthe and K11 are pleased to announce Wang Xin’s solo exhibition, “Maybe it’s Time to Refresh the Art World a Little Bit” at the chi K11 Art Space in Tsim Sha Tsui, Hong Kong. Featuring several new artworks, the exhibition initiates discourse around authorship and authenticity in its examinations of the art world ecosystem and the inherent nature of human creativity. 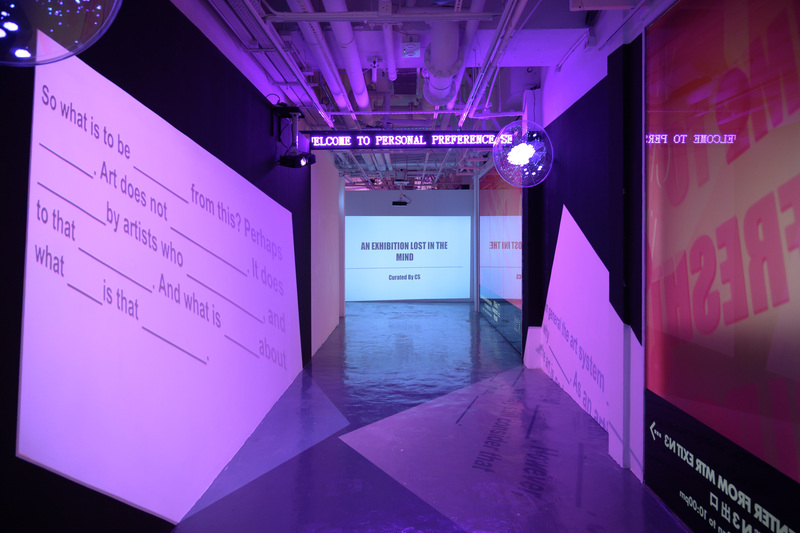 In Wang’s Personal Preference Setting (PPS) Gallery (2019) and PPS Exhibition System (2019) she invites visitors to quickly create their own exhibitions within the exhibition. By offering a set of choices for visitors to choose from—including the name of the exhibition, the style of the artwork displayed, the type of artwork displayed, as well as accompanying audio effects—Wang questions the role of curators, artists, and visitors in producing artwork and exhibitions. Comprising tens of thousands of pink balls, Unknown Artist Agency (2017 - ongoing) highlights a poignant issue within the art world—an abundance of creativity and the lack of a system to properly represent and support it. Within each pink ball is a piece of paper printed with the contact information of an emerging—“unknown”—artist. Visitors are encouraged to “discover” an artist by selecting one of the balls; this process at once mimics the random and unpredictable art world, and acknowledges the thousands of other artists who remain undiscovered. Additionally, visitors can themselves become an unknown artist, by inputting their own contact information in the Personal Preference Setting (PPS) Gallery, and placing their ball into the seemingly endless pit. In contrast to these hyper-cynical yet playful works, Wang’s Boost Your Art Energy: 8-Minute Guided Session (2019) is a spiritual, mystic, and immersive virtual-reality artwork that aims to recharge one’s “art energy.” It is made in collaboration with LumiereVR, a Silicon Valley-, Canada- and China-based VR company. The moment users put on the VR headset, they are thrust into a dream-like state freed from conventional space, time, and reality. Within the artwork users are given a choice to activate one of four guided sessions, each with a profoundly different approach to revitalization. The exercise itself encourages contemplation, although, much like the methods of ancient divination, the path one chooses might be predetermined or random. As the eight-minute guided session activates creativity within each user, it attempts to demonstrate that within each of us exists an “art energy” that can be depleted, recharged and utilized at will.